What to Watch on NBA's ThanksGiving Weekend? Seeing the Miami Heat, Oklahoma City Thunder and San Antonio Spurs near the top of the standings with 9-3 straight up (SU) records at this point in the season shouldn’t come as a surprise to anyone. However, the New York Knicks and Memphis Grizzlies sharing the NBA’s best record at 8-2 SU might. Both teams are at home and looking to keep their hot starts going in two of this weekend’s top matchups. With an ugly road loss as a 5.5-point road favorite to the Sacramento Kings on Wednesday night to fall to 0-3 SU and ATS (against the spread) on the road, the Los Angeles Lakers (6-6 SU, 5-7 ATS) will be looking for their first road win of the season at Memphis on Friday. It won’t be easy to come by against the Grizzlies, who are 15-1 SU and 9-7 ATS over their last 16 regular season home games. Memphis is off to an 8-2 SU and ATS start. 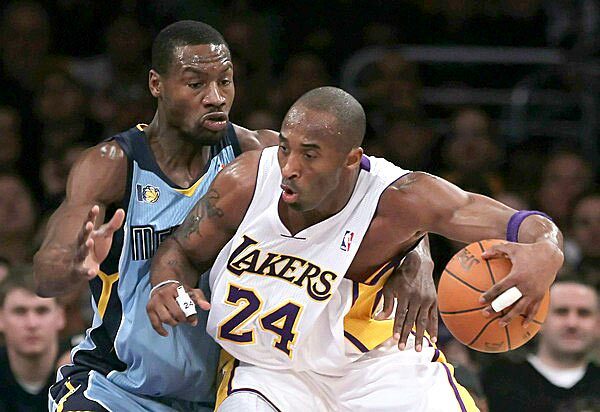 The Grizzlies are 1-3 SU and ATS in their last three games against the Lakers. Basketball odds makers expected to open the Lakers as small favorites, check back for the latest lines. Off to a 9-3 SU (6-6 ATS) start with the NBA’s most potent offense averaging 104.3 points per game, the Miami Heat are looking strong out of the gate. This Saturday, LeBron James faces his old team when the Cleveland Cavaliers come to town. James and the Heat have tortured the Cavs to the tune of a 6-1 SU and 4-3 ATS record. Each of the last four games in this series have gone UNDER the total. Miami is 9-0 SU and 7-2 ATS over its last nine home games, while Cleveland is 0-5 SU and 1-4 ATS over its last five road games. Kyrie Irving will be out of action with a broken finger for the Cavaliers, which will make the NBA odds on this one inflate even higher. Off to an 8-2 SU and ATS start heading into their Friday night matchup against Houston, the New York Knicks are in a great position to add another win and cover this Sunday against the Detroit Pistons (2-10 SU, 6-6 ATS). The New York Knicks are 16-2 SU and ATS in their last 18 home games and are also 7-1 SU and ATS in their last eight games against Detroit. The Pistons are just 1-9 SU over their last 10 road games, but are 5-5 ATS over that span.